As celebrants thank Saint John for the rain and the abundant corn harvest, an arraial or huge event space is set up. This is brightly decorated with strings of colorful flags and paper balloons, and filled with tents or rough stalls. The festivities are lit up by sky lanterns, showers of fireworks, and bonfires. 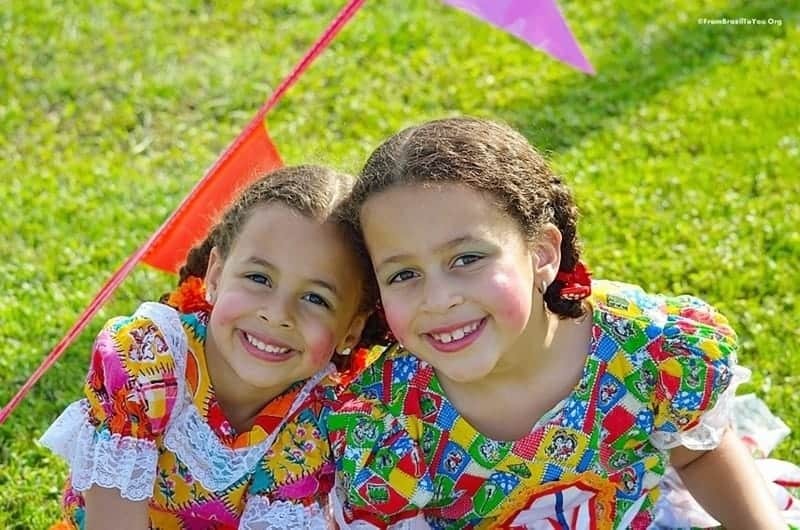 People dress up in typical country bumpkin outfits, with straw hats, painted-on freckles, and gap-teeth, and women often sport checkered gingham dresses and pigtail braids. … And then of course, there is the food — an attraction all its own! 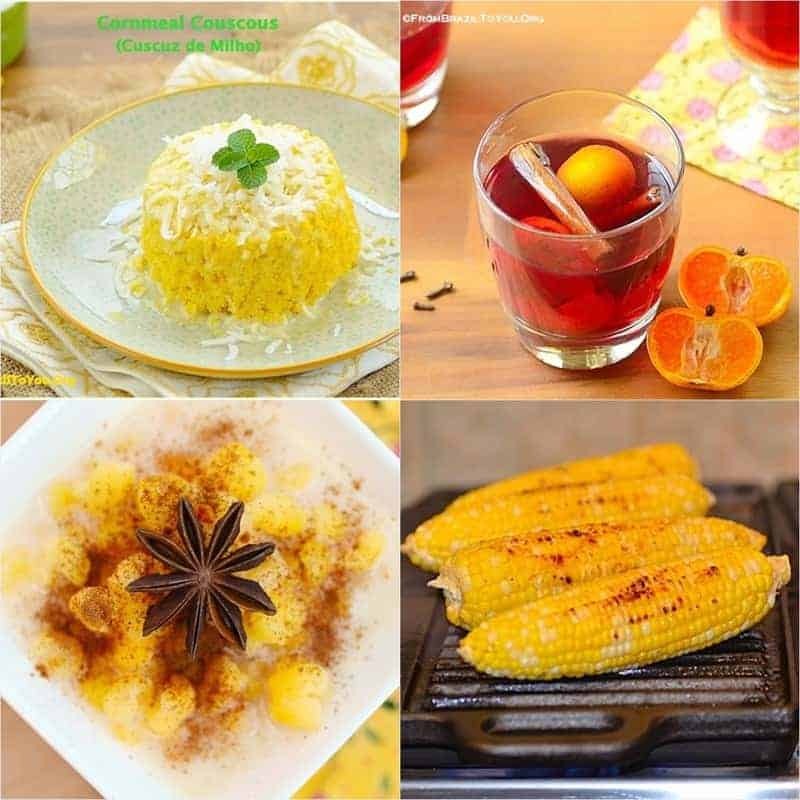 The most typical items are usually made from yellow corn (maize) – and include such dishes as Boiled or Grilled Corn on the Cob, mungunzá doce (sweet corn-coconut pudding), canjica nordestina or curau, pamonha, cuscuz de milho (Brazilian cornmeal couscous), sweet popcorn, corn bundt cakes such as the one being presented here today, along with many other dishes made from rice (arroz doce or rice pudding), spices, coconut (e.g. cocada), and peanuts (e.g. paçoca). The most popular drink is quentão! 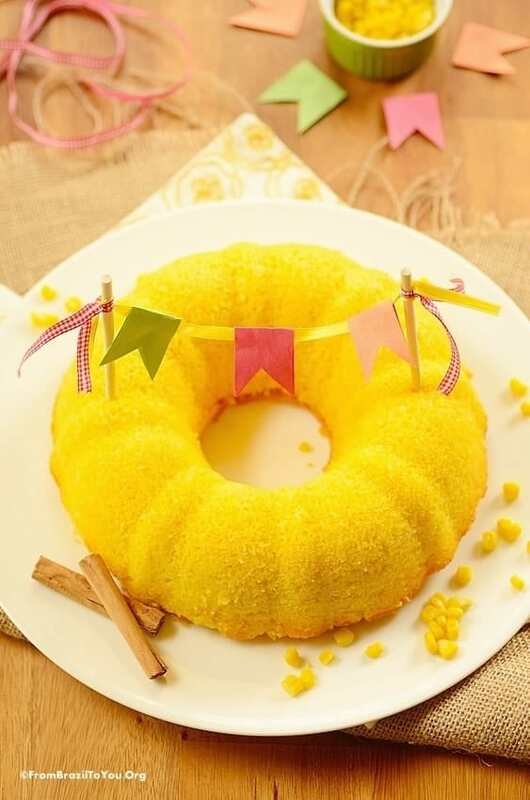 Our Corn Bundt Cake is super easy to make since all ingredients are simply mixed together in a blender and then baked. As I mentioned earlier, the blender and the oven do most of the work for you. 🙂 Thanks to Nana Oliveira — both a friend of mine and of this blog– we can savor this tasty, comforting treat. All the credit is hers! Naturally gluten-free, Kitchen Blender Corn Bundt Cake -- the blender and oven do most of the work for you!! Preheat the oven to 350 degrees F (about 177 degrees C). Grease very well a 10-inch (about 25 cm) ring pan and set aside. NOTE: Grease the entire pan well. Do NOT miss one single corner!! In a blender, blend together all ingredients until corn is completely pureed and the mixture is homogeneous and creamy. You may need to stop the blender once or twice to stir in the mixture, making it easier to blend together the ingredients. Thank you, Raymund! Enjoy… I made this for the first time and absolutely loved it. This bundt cake looks oh so moist and oh so very delicious! Craving a big piece right now! Hi, Julia! Thank you so much… They have grown so fast! My family and I are enjoy a lot these festivities and corn dishes. This cake is one of them because it is super easy and tasty! I love the pairing of corn and coconut! What a wonderful aroma must fill the kitchen when baking this festival cake. And the sunny yellow color just screams summer! Thank you so much, Deb! I wish I would still have a slice of it to accompany with a cup of coffee now. Thank you, dear Cassis! 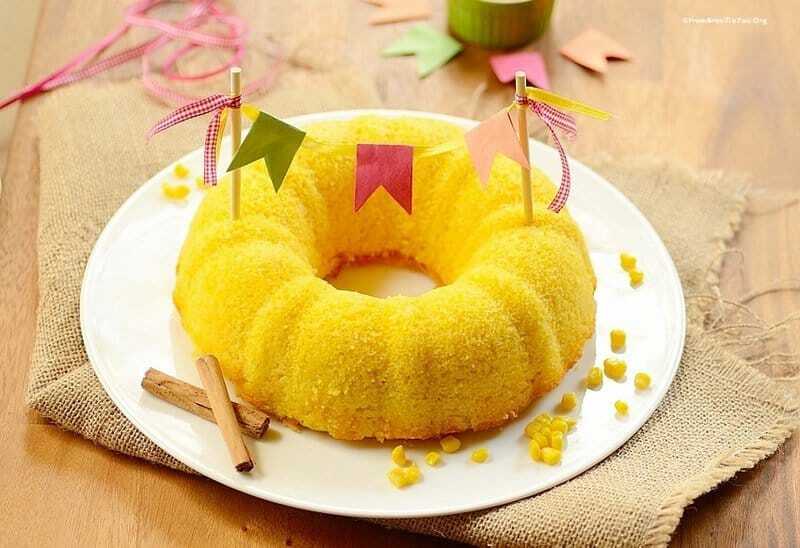 I hope you try this super easy to make corn cake. I made it for the first time and already became a fave of mine. Thank you, dear Cassis! I made this for the first time and already became a fave of mine. 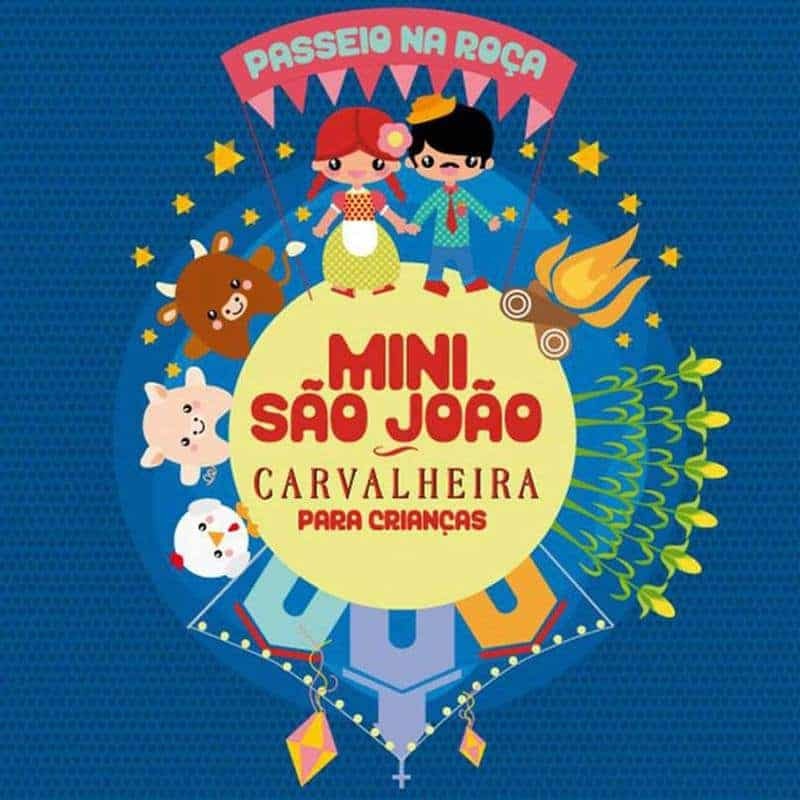 Happy São João! I really enjoy traditions, and I think that when you are out of your country, it becomes more important, ritgh? It’s great that your kids also enjoy it. You are right, Nydia! And my kids enjoy these festivities a lot. This looks amazingly moist and so delicious. I love that you can throw everything in the blender. Perfect!! What a wonderful recipe! I love corn so that’s a great start, and coconut, and then you just blend and pour? Love recipes like this! It’s going on my must make list for when the local corn comes in! I hope you make this cake and enjoy it with a cup of coffee, Nazneen! Fantastic bundt Denise! What we like bout this, is that’s is a super easy no-fuss cake! You simply blend and bake! Wow:) And we never had one with corn yet, so this is a good opportunity to try one! Thanx for sharing, and have a wonderful week! Good luck to Brazil on the premiere of the World Cup tomorrow! Thank you Panos and Mirella! I do appreciate it… Good luck to Greece as well! 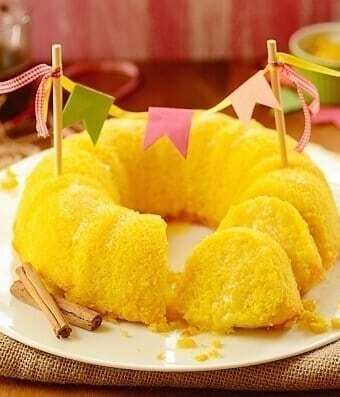 I hope you try this corn cake one day! Wow, this is terrific! And an unusual (to me!) recipe. Really easy, too — thanks so much. Thank you for always stopping by, John! I so want to eat this cake! Moist and stunning to look at. Love the cake and the precious picture of your daughters. Thank you, Sonali! Like their Momma, they love these festivals. 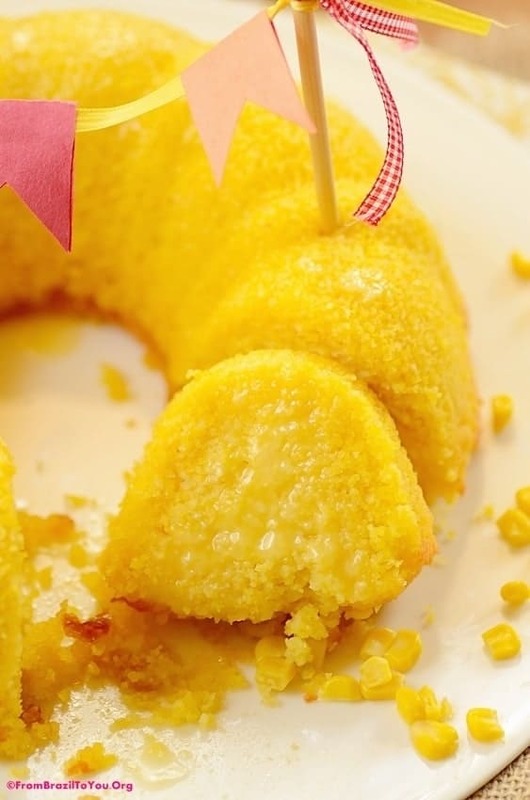 This corn bundt cake looks so moist – wow, Denise! Amazing job! Love the coconut milk and coconut flakes in it! Thanks, Shashi! It is already a family fave. You won’t regret for trying this recipe, Kumar! Thank you, Francesca! It certainly makes one’s life much easier.